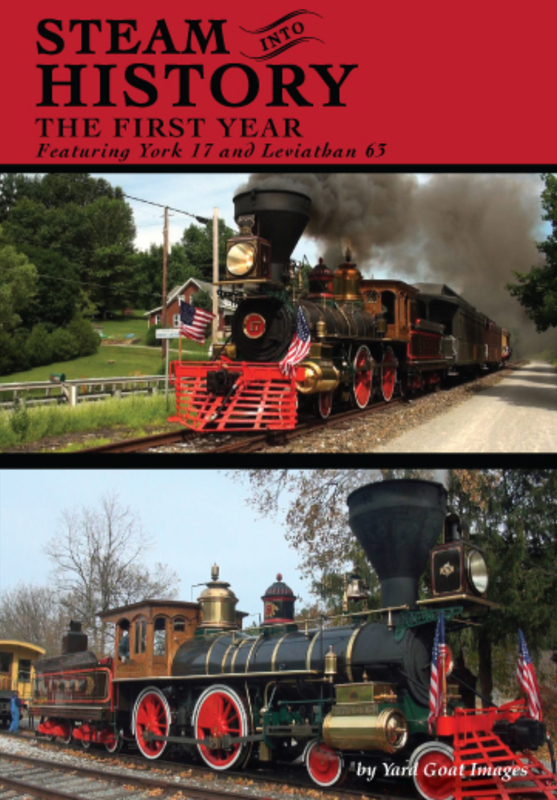 A significant chapter in North American railroading was born in 2013 as Steam into History began operating between the towns of New Freedom and Hanover Junction, Pennsylvania. This line was once part of the Northern Central Railway. During the American Civil War, the Northern Central transported supplies and troops for the Union Army, and was itself a military target when rebel troops destroyed much of the railroad. After the Battle of Gettysburg, the railroad moved wounded troops through the towns to hospitals in northern cities. Abraham Lincoln changed trains at Hanover Junction as he traveled to the scene of this horrific battle and made his famous Gettysburg Address. Seventeen months later, Lincoln was assassinated. His funeral train went from Washington DC to Springfield, Illinois through major cities and small towns, including New Freedom and Hanover Junction. The depot where Lincoln stopped at Hanover Junction remains today. Recognizing the significance of this railroad line, the founders of Steam into History set out to create a unique attraction which would appeal to a wide audience. They commissioned David Kloke to build a replica 4-4-0 locomotive. Mr. Kloke earlier had built another 4-4-0, the Leviathan, which we also see operating at Steam into History during its first season. Footage for our program was created through repeated visits from June through November by videographer Jonathan Eau Claire. Chronicling equipment and operating changes, many special events, reenactments, and the changing of the seasons, this program is a fine documentary of Steam into History’s first season! As always, there is minimal narration. The running time approximately 93 minutes.